A new consortium aimed at aiding non-proliferation efforts is all well and good. But is the US making things too complex? Shorn of the rhetoric, the exact purpose of this initiative is to create new technical talent for US nuclear labs by training undergraduate and graduate students in the fields of nuclear physics, nuclear and radiation chemistry, nuclear engineering, nuclear instrumentation and public policy. Interestingly, given the US penchant for acronyms, this specific consortium is beginning to be known as SUCCESS PIPELINE – Seven Universities Coordinating Coursework and Experience from Student to Scientist in a Partnership for Identifying and Preparing Educated Laboratory Integrated Nuclear Experts. To redress the situation, the NNSA had then called for a refurbishment of the labs complex. Under the Nuclear Posture Review put out by President George W. Bush in 2002, this became the third leg of the new triad that he had proposed, along with ballistic missile defence and counter-proliferation to address the dangers facing the United States. Known as the Complex 2030 programme, for the year in which it was to be realized, it was meant to revamp nuclear weapons production capabilities to ensure a safe and reliable arsenal, especially as the actual numbers decreased in the US stockpile. 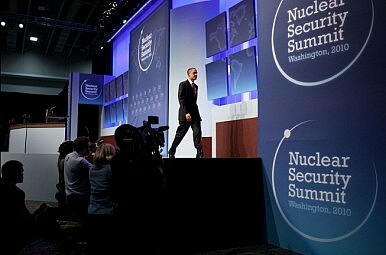 The second impetus to the initiative is provided by last year’s Nuclear Posture Review. This document clearly rules in favour of extending the life of the existing warheads by modernizing nuclear facilities, including national security labs and investment in human capital. The NPR has committed increased investment to the nuclear weapons complex as one way of addressing the concern of the labs that not enough attention was being paid to recruitment and retention of weapon scientists and engineers or to providing them sufficiently challenging research and development work. The Defence Secretary committed $5 billion to be transferred from the Defence Department to the Department of Energy over the next five years to cater for the refurbishment of the nuclear infrastructure. The US budget for 2010-2011 allocated $7 billion to maintaining the nuclear stockpile and modernizing the related infrastructure. This marks an increase of $624 million over what the US Congress had approved the previous financial year. With this as the backdrop, it’s hardly surprising that the NNSA Strategic Plan released in May 2011 has the NNSA administrator, Thomas P. D’Agostino, stating in unambiguous language that ‘The NNSA is truly moving from a nuclear weapons complex to a 21st century Nuclear Security Enterprise, addressing the nuclear and national security challenges of the 21st century.’ (Emphasis added). Such an ambition is quite understandable for the United States, given that it has the financial wherewithal, despite the recession, to pump in colossal amounts into its nuclear research and development infrastructure. What’s surprising and a bit hard to swallow, however, is the linkage that has been created between the vision of such an exercise, which is stated to be to ‘make the world a safer place’ and the means that are being developed to achieve the goal. The NNSA Strategic Plan quotes President Barack Obama as saying: ‘There is no greater threat to the American people than weapons of mass destruction, particularly the danger posed by the pursuit of nuclear weapons by violent extremists and their proliferation to additional states.’ And it’s from this statement that the NNSA Administrator derives his key goals as being: reduce nuclear dangers; manage the nuclear weapons stockpile and advance naval nuclear propulsion; modernize the NNSA infrastructure; strengthen the science, technology and engineering base; and, drive an integrated and effective Enterprise”. Revamping and refurbishing the nuclear complex to reduce nuclear dangers, however, might be an awkward link to understand for the rest of the world. If you look at this enterprise from the point of view of countries such as Russia or China, or even some of the smaller countries with which the US has an adversarial relationship, alarm bells begin to ring. Non-proliferation has been a stated goal of the United States since 1945, but the experience of the last six decades clearly illustrates the limitations of treaties, sanctions, export controls etc. especially because there is no uniformity of rigour or commitment to the goal of stemming proliferation. This commitment is therefore likely to further fragment in the wake of such measures in the United States. Why should that be so? Because the impression given to countries that have, or are aspiring to secure, nuclear weapons is that while the United States is engaged in refurbishing its nuclear weapons complex, it has little power to stop proliferation that is already underway, such as the Sino-Pakistan variety, and has little clout – or the moral right – to stop vertical proliferation or modernisation of strategic arsenals under way in other nuclear armed states. Essentially, US nuclear weapons appear to be here to stay for the foreseeable future, so why should countries that perceive they require them for security or as a currency of power not want to acquire them? For a country that desires non-proliferation, and which perceives proliferation and nuclear terrorism as its number one threat, the United States sure seems to be going about achieving its goals in a rather complicated manner. Does U.S. Need Grand Strategy? A grand strategy might be good for headlines, but the days of railing against an “Evil Empire” are behind us. The Failed State LabelSame, Sad Nuclear StoryNuclear PoliticsToward Nuclear DisarmamentDid the Obama-Xi Cyber Agreement Work?